S.T.A.G.E. student theater, based in Lincoln, Nebraska, teaches the faith through drama. Sessions are set up for different age levels and are designed to fit within the school year schedule, or a shorter summer camp format. Students work toward a finished play at the end of each session that is presented to a live audience. Ranging from serious drama to the humorous and sometimes musical, the plays are unique in style, wit, and poignancy. Classes are geared for students eight years and up, and are separated into levels. Tuition is based on level and length of session (see participant page). Our Tuition Package includes training with professional teachers in theater, dance, and music; production fees; costuming; and a professionally taped DVD of the show. S.T.A.G.E. operates with a team of adult crew members who oversee backstage management, technical work, and cast needs. Parents or older siblings are asked to volunteer with performances in areas such as ticket sales and concessions to help the shows run smoothly. S.T.A.G.E. embodies strong family values, along with a friendly atmosphere that creates lasting friendships. Older kids look out for the younger ones while still having fun and learning about their faith and the medium of theater. Many of our students come back year after year, graduating into more challenging roles. Students are expected to adhere to the S.T.A.G.E. Commandments (see participant page) which address good Christian behavior and stewardship. S.T.A.G.E. is a Catholic-based program but is ecumenical in its enrollment policies. Service hours, as well as the John Paul II Award of Theater Excellence, are available for high school students. On occasion, we even let adults perform! For more information, please contact the director Lee Hotovy (shotovy@msn.com). Come join the Spirit of S.T.A.G.E.! Lee Ann Hotovy writes and directs Christian student plays to evangelize, educate, and entertain. 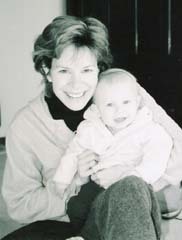 To date, she has written and successfully produced dozens of plays that contain unique elements of creativity, while reaching out to its' audience with a Godly message of hope and love. These original scripts offer a variety of genres, from comedic to dramatic, with moral and Christian truths throughout. Lee has been the creator and director of S.T.A.G.E. since its beginnings in 1999. S.T.A.G.E. came in response to Pope John Paul II’s call to artists, to spread the Word of God through the arts. As a mother, grandmother, artist, and writer, she has a great sense of integrating the faith into these productions and loves working with kids of all ages. She has a Bachelor of Fine Arts degree from the University of Nebraska-Lincoln, and received the Nebraska Young Artist of the Year Award in 1991. She has also performed in theater and dance, including high school, college, and the occasional adult role. Anna Hanselmann is the Music Director for S.T.A.G.E. She graduated in 1985 from the University of Nebraska -Lincoln with a Bachelor of Music in Vocal Performance. While attending UNL, Anna enjoyed a four-year membership in the Scarlet and Cream Singers. From 1995-1997 she was the director of Ogallala's long-running Front Street Review. Anna Hanselmann is married with two daughters, and three grandchildren. She is a private voice and piano teacher, and enjoys working with students to discover their musical potential. Karrie Seeman is the Choreographer and Assistant Director for S.T.A.G.E.. She graduated from the University of Nebraska-Lincoln with a degree in Human Resources and Family Science with an emphasis in Dietetics. Prior to changing majors, Karrie spent two years as a Dance Major. She entered dance at a young age and danced all the way through college, with multiple performance opportunities. Her family was very involved in Community Theater, so she grew up in those surroundings actively participating in performances alongside her mother, who also acted, danced, and directed several shows. Karrie is married to Brad, and they have five children. Her kids have joined her in the their love of theater and music. Rose Seeman is the Assistant Musical Director for S.T.A.G.E.. She is a freshman at the University of Nebraska-Lincoln majoring in Music Education with an emphasis in Voice. Rose graduated in 2018 from Pius X High School. As a high school music student, Rose was selected to sing in the Nebraska All-State Mixed Chorus all three years of eligibility. As a junior, she made All-National Honor Choir with NAFME, as well as, All-Regional Honor Choir with ACDA in Chicago. She had the privilege of working with many gifted directors and musicians at these conferences. In addition, Rose has traveled to San Antonio and New York with her choirs seeing Broadway musicals along the way. She has held strong performances of her own in many S.T.A.G.E. musicals, as well as, Pius X productions, and was the Jazz Vocalist for the Pius Jazz Band her Junior and Senior years. She has also held leadership roles as president of choir, music ministry, campus ministry, and the role of oldest child in her family. Rose assists at her parish as Cantor and soloist for weddings and funerals. She is excited to be a part of the S.T.A.G.E. teaching staff. S.T.A.G.E. now creates its' own original musicals with the creative talents of Anna Hanselmann, Melanie Kottwitz, and Greg Florence. Our plays always carry a faith-filled message of hope and love, while offering humor, entertainment, and creativity. Parent volunteers have allowed S.T.A.G.E. to grow, by lending their talents in the areas of backstage management, videography and photography, costumes, lights, sound, and marketing. Plays are reviewed in content by a diocesan priest, and spiritual guidance is offered when needed. S.T.A.G.E. is self-supporting, funded primarily by tuition and ticket sales.